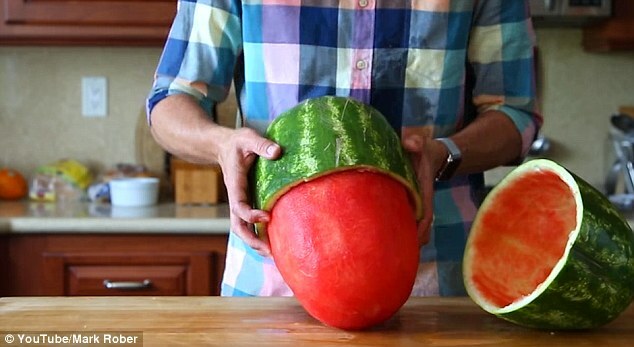 Home / Other / This Cool Watermelon Trick Will Have Your Guests In Awe! This Cool Watermelon Trick Will Have Your Guests In Awe! I’ve got to say, I have never seen a watermelon get “skinned” like this. In this video, we can see all of the children’s amazing reactions to this cool trick. To our surprise, it is pretty easy. As he explains in the video, you need to grab two watermelons that are similar in shape and size and the rest is history! I will definitely be trying this trick out this Laborday Weekend!